We know that you’ve got questions – and we’ve got answers! Check out the list of frequently asked questions below to make your contest experience more smooth. Is your question not listed below? Contact us and we will get back to you as soon as possible with an answer. 1. Who is eligible for the contest? a. All classes of Grade 7, 8 and 9/Secondary 1, 2 and 3 students in Canada are eligible to enter the contest. Split level classes are allowed as long as there are grade 7, 8 or 9/secondary 1, 2 or 3 students in the class. 2. What are Secondary 1, 2 and 3? a. Secondary 1, 2 and 3 are the Quebec equivalent of Grade 7, 8 and 9. 3. How can I relate my class’s stewardship activity to a Parks Canada place? a. 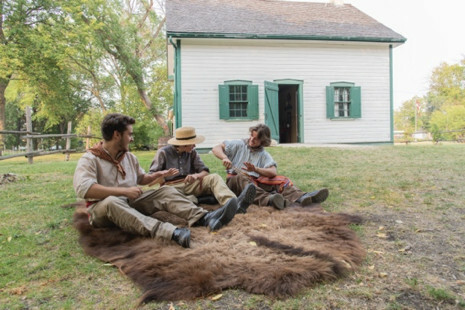 There are countless ways that your class’ work can connect with Parks Canada. Does the stewardship activity that you participated in have an effect on a Parks Canada place nearby? Do similar activities happen in Parks Canada places, or should they? How does your class’s work align with Parks Canada’s mandate? Do some research, think big, and be inspired! Parks Canada’s website is a great resource to help you determine how your work connects to its mandate or places. Consider looking into Parks Canada’s Mandate or browse the Parks Canada website. 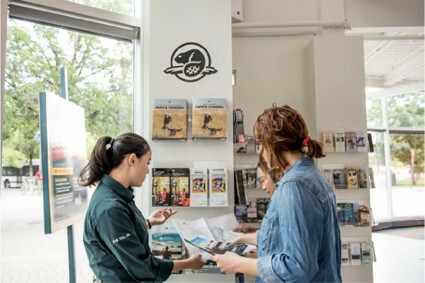 If you are looking to connect your work with a particular Parks Canada place, you can see a list of all Parks Canada Places at the links below. Just be sure that the place that you select is a Parks Canada place, rather than a provincial, territorial or historic site not managed by Parks Canada. Please double check that your site is eligible before you start your photo essay. 4. What do we do if we don't live near a Parks Canada place? a. You do not need to visit a Parks Canada place to show a link between the Parks Canada place or mandate and your stewardship project. Instead, you can link your stewardship project with the Parks Canada mandate. Do some research and get creative! 5. Where can we find help to create our entry? a. Check out our tips and tricks page. There are lots of great links on there to get you started. 6. How many photos do we need for our photo essay and what should be included? a. Your photo essay should be five (5) photos (no collages) with a maximum of 150 characters per photo. 7. Can our teacher help us at all? a. Yes, your teacher can assist you. We want to make sure that students are doing the majority of the work — it’s your prize after all! Your teacher knows what student driven means and can use their best judgment to determine how much help they can give. 8. We are a split-level class. Can we still participate? a. As long as you live in Canada and some of the students in your class are in grade 7, 8 or 9 / Secondary 1, 2 or 3 you are eligible to participate. 9. How do I upload my photo essay? a. Once you’ve registered, you will receive an email with a unique url to upload the photo essay. Click on the link and follow the on screen directions. 10. We live in a small community, how can we compete in the voting with classes from bigger cities? a. Every year we are asked this question, and without fail, small communities come out on top in the voting portion. It’s not about how big you are, it’s how much noise you make! Get out into your community, try to get on the radio or in the newspaper, call up distant relatives and reach out on social media. You will be amazed with what you can accomplish! 11. How do you make sure that online voting is fair? a. The contest partners do our very best to ensure that voting is fair and equal to all participating classrooms. Every time a vote is casted that email address is verified to be true. If email addresses are used incorrectly, we remove all votes made with that email address. 12. If we win, who takes care of permission forms and all the other documentation that we need to travel? a. Members of the My Parks Pass team will be in contact with the winning class’ teacher or principal to send all of the necessary permission forms. Ample time will be given to complete these forms and return them before the travel dates. Still have questions? Don’t hesitate to contact us to clarify anything — we are here to help!